There are many wedding venues in Vanderbijlpark to choose from, but none as exclusive as Liquid Lounge. Liquid Lounge is a luxurious river cruiser that offers the ideal opportunity to say ‘I do’ whilst cruising down the immaculate Vaal River. 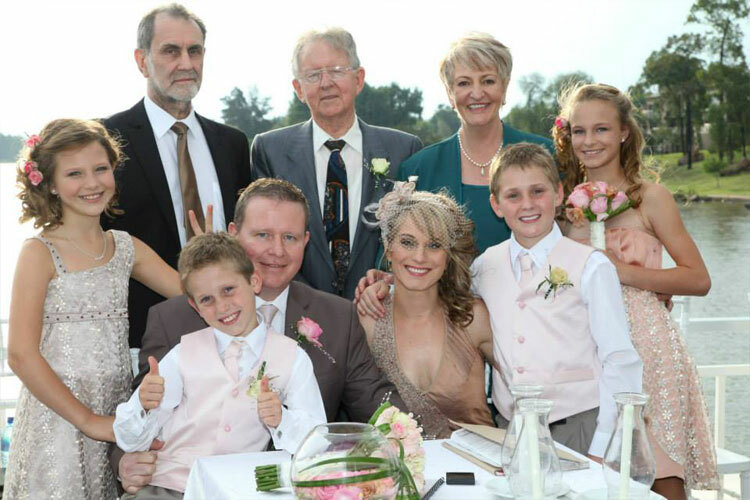 When choosing this wedding venue in Vanderbijlpark, you and your guests will be wowed by the beautiful scenery that surrounds the naturally beautiful Vaal River and its river banks. 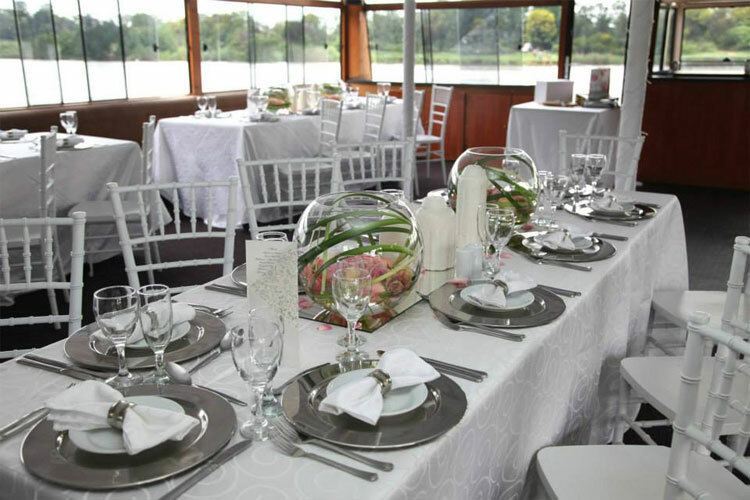 Let the liquid Lounge’s professional staff take care of every detail on your wedding day, while you and your guests enjoy being treated like royalty aboard this luxury river cruiser in Vanderbijlpark. When looking at wedding venues in Vanderbijlpark, Liquid Lounge offers the perfect opportunity to get married in the beautiful natural area that the Vaal Triangle has to offer. Your photographer will have so many opportunities to take the most stunning pictures whilst cruising down the river – perfect for lasting memories in your photo album. The Liquid Lounge also makes use of wedding venues in Vanderbijlpark situated on the river banks, where you can have a garden ceremony, followed by a river cruise for your wedding reception. Our staff are professional and experienced in planning and executing outdoor weddings aboard the Liquid Lounge, making sure your wedding runs smoothly and hassle free. Choose Liquid Lounge as your wedding venue in Vanderbijlpark, and have the wedding you’ve always dreamed of! Liquid Lounge, one of the most exclusive wedding venues in Vanderbijlpark, will take care of every detail regarding your wedding, from the décor to the catering. Liquid Lounge makes use of a professional décor company in Vanderbijlpark, which will make sure that your wedding theme suits your requirements. Our catering includes everything from welcome snacks and drinks, to your buffet meal during your wedding reception. You will be 100% satisfies with your delicious meal, contributing to your beautiful wedding experience at this exclusive wedding venue in Vanderbijlpark. Once you’ve set your wedding date, the season will also determine which type of venue will work best. Some wedding venues with gardens and grass areas will look much better in spring and summer, and other venues will add to the winter wonderland atmosphere. The location of the wedding venues in Vanderbijlpark will also weigh in on your decision. 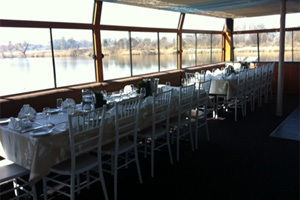 Do you want a venue situated on the banks of the Vaal River? Is the venue easily accessible for guests? These are important questions to ask when looking at the location of your wedding venue in Vanderbijlpark. Your wedding venue in Vanderbijlpark will have to suit the wedding theme you have in mind (if you do have a theme in mind). If you’ve always wanted a classic, fairy tale wedding with a white and crystal theme, then the marques tent or lapa just won’t do it! Keep your décor and theme in mind, and visualise it when you are going on site visits to possible wedding venues in Vanderbijlpark. Find out what the wedding venue in Vanderbijlpark’s services include. Will you need to arrange a catering company, décor etc, or is this all included at the venue? A venue offering a full service is very beneficial, as this will save you the extra arrangements and effort. When doing venue hunting in Vanderbijlpark, compile a spreadsheet that easily compares the venues, their services and prices. Once you have a comparison, it will be easier to choose from the number of wedding venues in Vanderbijlpark that best suits your needs. If you have guests that are travelling long distances to your wedding, there needs to be accommodation in the area (or at the venue) that they can make use of. The venue will also be able to supply you with a list of local accommodation establishments near the wedding venue in Vanderbijlpark if they do not have sufficient accommodation themselves. Planning a wedding and choosing wedding venues in Vanderbijlpark is very exciting. Remember to ask as many questions as you can to ensure that you are fully informed. NEVER book a wedding venue without going on a site visit or talking to an organiser at the wedding venue in Vanderbijlpark. 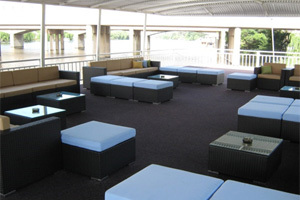 Contact the Liquid Lounge to see our beautiful and unique river cruiser wedding venue today! A river offers a spectacular and unique wedding setting for your special day. If you are looking for river wedding venues in Gauteng for your wedding day, you will find an array of beautiful venues on the banks of the immaculate Vaal River. 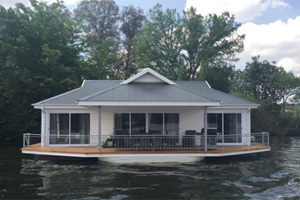 However, Liquid Lounge truly is a gem when it comes to river wedding venues – this floating wedding venue will cruise down the river, offering you and your guests an amazing and memorable wedding day experience. Nothing beats cruising down the river by sunset while being in the company of your closest family and friends, after you’ve married the love of your life. 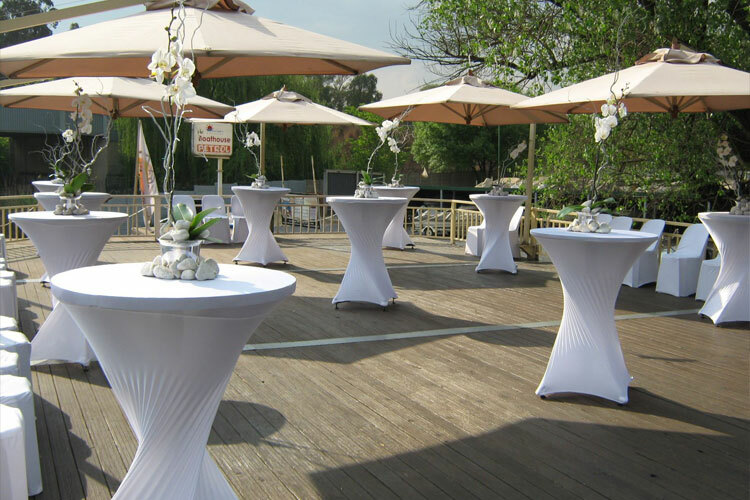 If you are looking for the perfect river wedding venue in Gauteng, contact Liquid Lounge today. Explore our beautiful vessel with its top class facilities and wedding theme possibilities! Book your wedding venue in Vanderbijlpark, the Liquid Lounge, to avoid disappointment! If you have a specific date in mind, enquire and book your wedding date with Liquid Lounge well in advance to avoid disappointment. View our website for different options and price lists available, or email us for a personalised quote. Make an appointment to see our wedding venue in Vanderbijlpark; our staff will provide you with all the information you need and questions you might have. 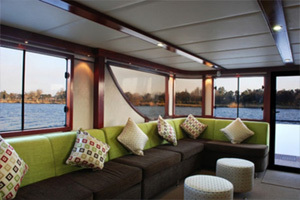 Once you have set foot on this luxury river cruiser, no other wedding venues in Vanderbijlpark will compare! Liquid Lounge is one such wedding venue in the Vaal Triangle that is entirely able to manage your very special day and all the details thereof, down to the very smallest request and can be contacted at (016) 982-3411 for a professional quotation.